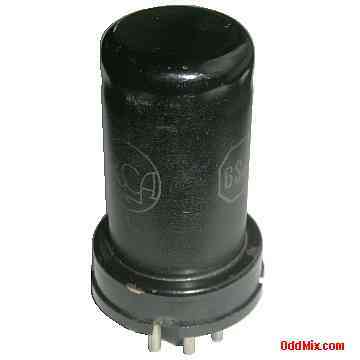 This is an original, discontinued, metal RCA Radiotron 6SJ7 electron tube. A collector's special, rare antique vacuum tube. Metal types are naturally rugged and made for the military to be used as a self shielded sharp cutoff pentode RF or IF amplifier. Excellent part for an antique radio or television restoration. This tube is listed in the 1964 "RCA Receiving Tube Manual" as discontinued type. It is an OEM NOS tube - New Old Stock, unused, without box, excellent condition. Only one available.